TOKYO (Sputnik) - Japan protested Russia’s military aviation flight exercise on the Iturup Island, one of four disputed southern Kuril Islands, Japanese Foreign Minister Taro Kono said on Wednesday. 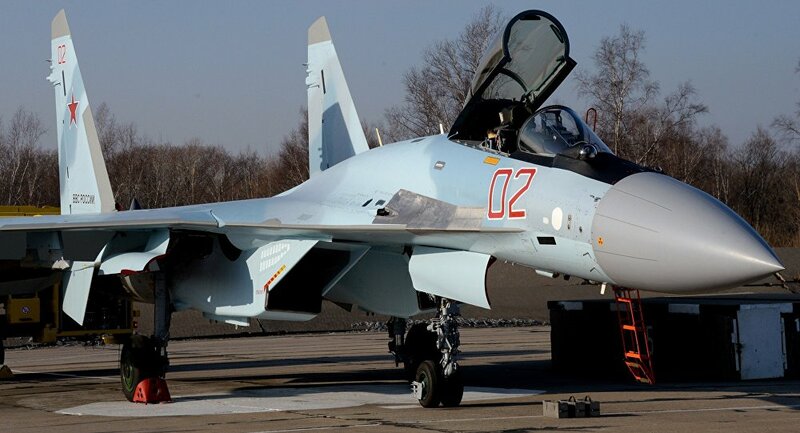 On Monday, two Russian Su-35 fighter jets carried out a military exercise, relocating from the country's Khabarovsk Territory to a reserve military airfield on the Iturup island and covering a distance of 2,000 kilometers (1,243 miles). The drills were conducted to improve flight training and skills in protecting air borders. "This leads to the strengthening of the Russian military presence in the Northern Territories [the southern Kuril Islands], which contradicts our country's position on these islands," Kono told the Japanese parliament’s lower chamber, citing a protest note sent to Russia via diplomatic channels. Russian-Japanese relations have long been complicated by the fact that the two nations have never signed a permanent peace treaty after the end of World War II. The deal was not reached because of a disagreement over a group of four islands that are claimed by both countries — Iturup, Kunashir, Shikotan and Habomai — collectively referred to as the Southern Kurils by Russia.